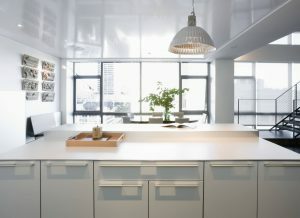 There are so many kitchen countertop options available today that choosing can be overwhelming. 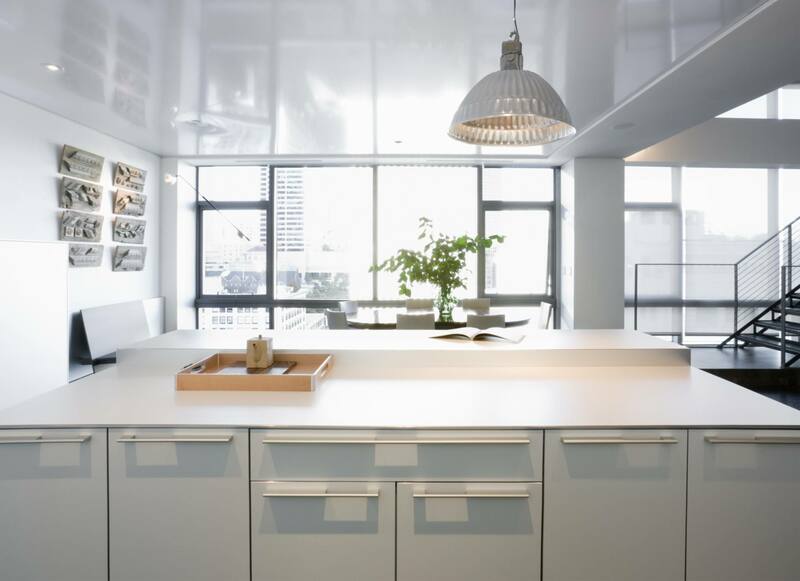 One material that has been on the rise for countertops is concrete. Of course, concrete has been around forever, but designers are using it more than ever before. Actually, there are a great many advantages to concrete kitchen countertops, and not just when it comes to cost. The general app eal to concrete is those that are looking for a more commercial look. But honestly, there are limitless design options when it comes to concrete. This versatility makes it one of the most unique materials available for countertops. Designer Michelle Jeresek calls concrete counters “the nearly indestructible option.” It’s true that concrete is the primary material in most home foundations, so you can’t doubt its strength. Of course, one of the first things you consider when selecting materials is cost. The good news is that concrete countertops, including installation, cost about $65-135 a square foot for a standard 1 ½ inch thick countertop. That’s about two-thirds of the cost of a granite or engineered quartz countertop, and is significantly less than a solid surface counter. It’s actually even possible to create a concrete countertop yourself for as little as $10 per square foot, using resources from the CHENG Concrete Exchange. Having a countertop pro help you with the project, especially with installation, is probably a good idea. More customized concrete counters can cost up to $150 per square foot, but if that price point is in the budget, concrete should be a strong consideration. Concrete may not beat laminate or even tile in price point, but it has many advantages over these and even other materials to make it worth the mid-range cost. This way you can make sure it comes out the way that you want. Another pro of concrete counters is that they get better with age. As Concrete Network says, concrete counters “evolve and acquire character over time, developing a warm patina.” This is an aspect to concrete than no other countertop material offers. It’s also resistant to high-heat, making it perfect for setting down hot pots and pans. The only real disadvantage to concrete is that it needs sealing, much like granite, in order to be water-resistant. But unlike granite, once sealed, it’s also stain-resistant. It also has no visible seams or grout lines if seam filler is used on installation, giving a clean look. Also, you have an unlimited array of design options, including color, edge detailing, shape, and even inlays to add personal style. Also, built-ins such as sinks, drain boards, soap dishes and trivets can be cast from concrete and integrated into the counter itself, as well. When it comes to concrete countertops, there are options at almost every possible price point. As far as timelessness, concrete is definitely a durable material that can outlive any design trend as long as it’s not overdone. The only real disadvantage is that it requires sealing, but anyone who has dealt with granite knows about that. People may prefer the natural beauty of granite or the craftsmanship of engineered quartz. But concrete is gaining momentum as a strong alternative to the more traditional options, and it has a lot of good things going for it.